Epson T143290 Cyan Ink helps your printer produce true-life printing for your best shots. This ink is also smudge/ scratch/ water and fade resistant photos for durability. T143290 Epson T143290 Cyan Ink helps your printer produce true-life printing for your best shots. This ink is also smudge/ scratch/ water and fade resistant photos for durability. DURABrite Ultra Ink is an all-purpose ink that promises brilliant printouts for reports/ charts and photos that last. Superior printing quality is now possible with this revolutionary smudge/ fade and water resistant ink. What’s more/ its instant drying formula makes it ideal for double-sided printing. Epson Cyan ink cartridge is ideally designed to offer superior image quality/ printing and laser-sharp text. Cartridge has instant drying ink to offer fade/smudge resistant prints. 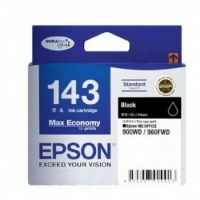 Our Compatible ink cartridges of Epson T1433 are manufactured in an ISO-9001 certified factory with high quality standard that meet the performance of the OEM Epson 143 Cyan ink cartridges. 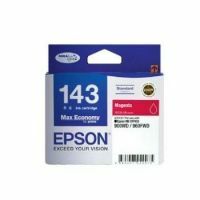 The compatible Epson T1433 ink give brilliant and clear color prints that satisfy your needs for a low cost and quality ink. 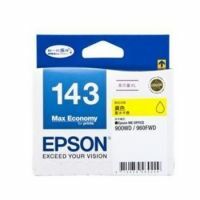 This compatible Epson T1433 ink can be used in various Epson ME OFFICE printer models 82WD, 900WD, 960FWD and Epson WORKFORCE WF-3521. To Recieve updates and possible rewards for Epson Epson T1432 Cyan Ink Cartridge please sign in. To Recieve updates and possible rewards for Printer Cartridge, Ink & Toner please sign in.